According to the Greek Government about 63,000 migrants, including refugees, remain in Greece with over 15,500 stuck on the islands, where designated sites are unable to accommodate more than 8,000. Temperatures have plummeted to below zero on the islands and to minus 15°C in northern Greece. Thousands on the islands are living in tents, abandoned buildings and containers. 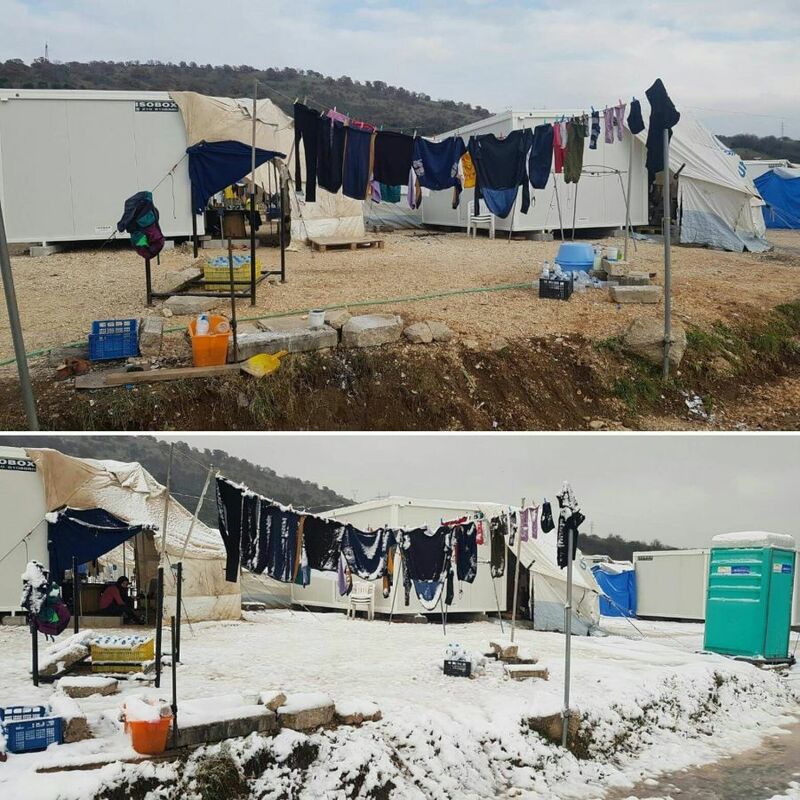 In Epirus (North-West Greece), Oxfam staff have moved refugees from tents into safe accommodation over the past few weeks. We have also purchased and installed water and electrical heaters. 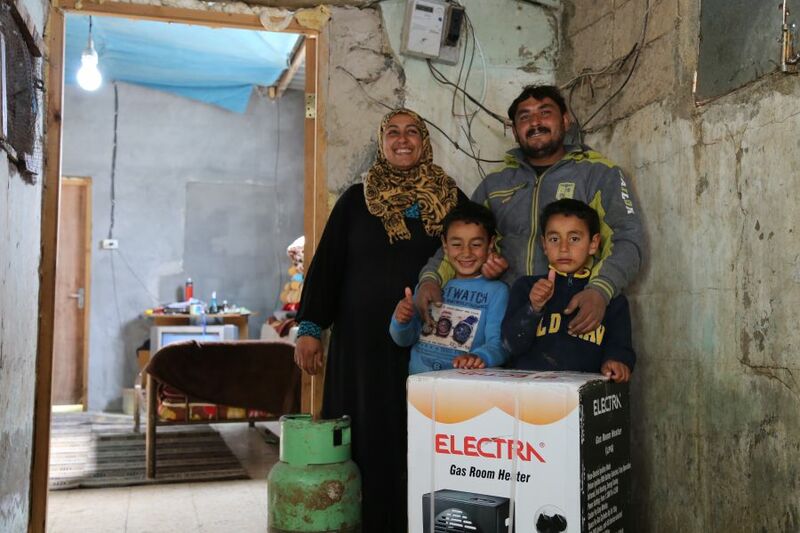 We have fixed roofing, windows, and doors, so that buildings where refugees have taken shelter are better insulated and purchased generators in case of power outages. We have distributed sheets, rugs, and a clothes’ dryer to each family, and are providing cash assistance. Arctic temperatures in Belgrade have reached a low of 20°C below zero this winter. 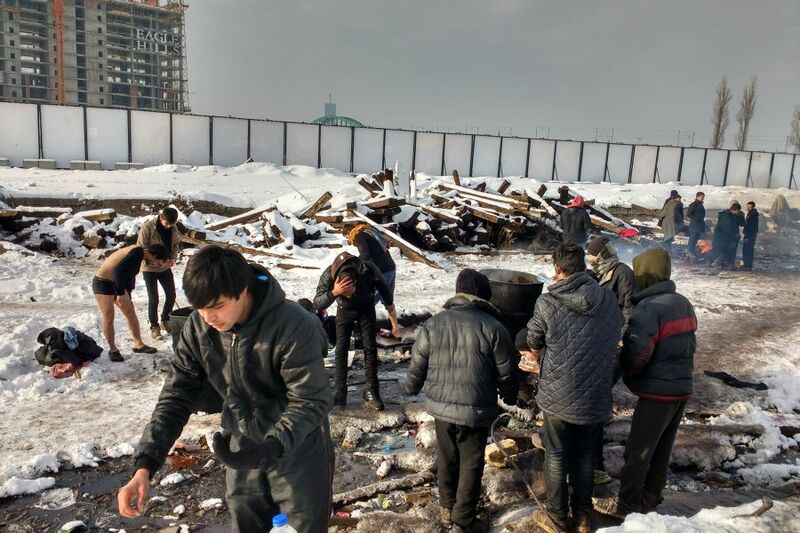 Of the 7500 refugees and other migrants in Serbia (according to UNHCR) around 1200, including unaccompanied minors, are sleeping in abandoned barracks and empty buildings in Belgrade. Many more are waiting at the Hungarian border, directly exposed to the elements. People are sleeping on cardboard without adequate clothing or blankets. There is one water pipe for 1200. Everywhere is dirty and polluted by the smoke of fires that are constantly burning in an attempt to keep everyone warm. Scabies and lice are rampant. Medical teams have reported cases of hypothermia, frostbite and malnutrition. On the Hungarian border in Horgos and Kelebija, people are staying in two improvised camps in inhumane conditions without proper tents or WASH facilities. We have initiated a crisis response for those people currently living outside of designated accommodation sites who are “out of the system”. 1600 beneficiaries will receive winter jackets, sleeping mattresses, sleeping bags, hats, gloves, scarves, winter shoes, thermal winter socks, long underwear and sweaters for winter. We will also distribute kits in Horgos and Kelebjia to support 400 people sleeping outdoors while waiting to cross the border into Hungary. 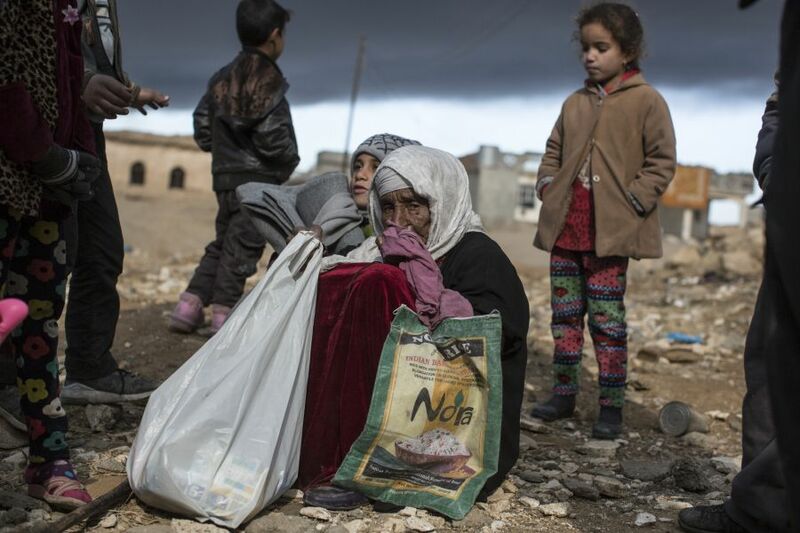 Many Syrian and Jordanian families are struggling to keep warm with few resources and job opportunities. The cost of keeping a home adequately heated during the colder months is beyond the means of many. 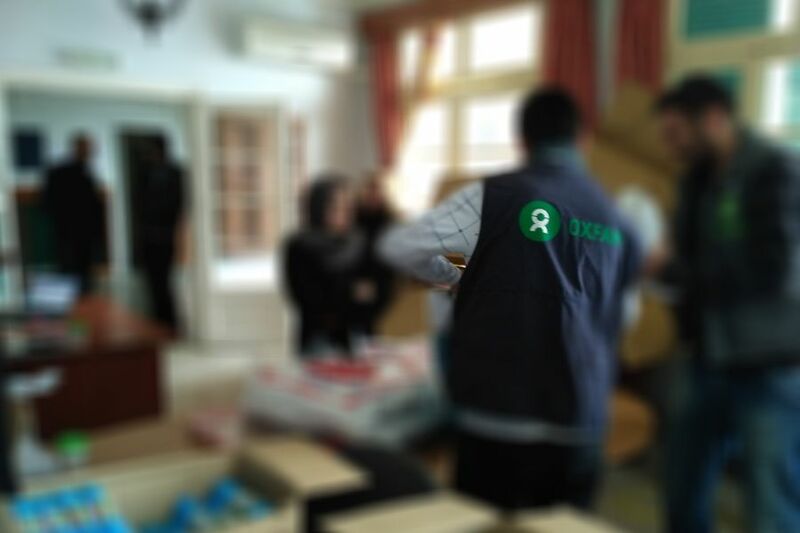 We have distributed 600 “winterization” kits in Jordan to help families survive the winter. Each kit contains one gas cylinder, a gas heater and a small amount of money to ensure that the cylinder can be refilled during the long winter months. People told us that this was the most practical way to help them keep their families warm and comfortable despite the severe financial pressures they face. Ali Hayyan, 33, is a Syrian refugee living in Zarqa, Jordan and father to three little girls. In Syria he worked as an Arabic teacher. Ali fled with his wife and daughters from Homs to Jordan in 2013, staying briefly in Za’atari camp before moving into a local community to be closer to his extended family. “As refugees we face a lot of challenges especially given that I can’t find a job. One of those challenges is the bitter winter cold”, Ali said. Rania, 34, and her husband Ahmad 32 are Jordanian, they live with their six children in dire conditions in an area called Shweh in Jordan. We were able to support the family to make repairs to their home and to have proper heating, despite the bitter cold. 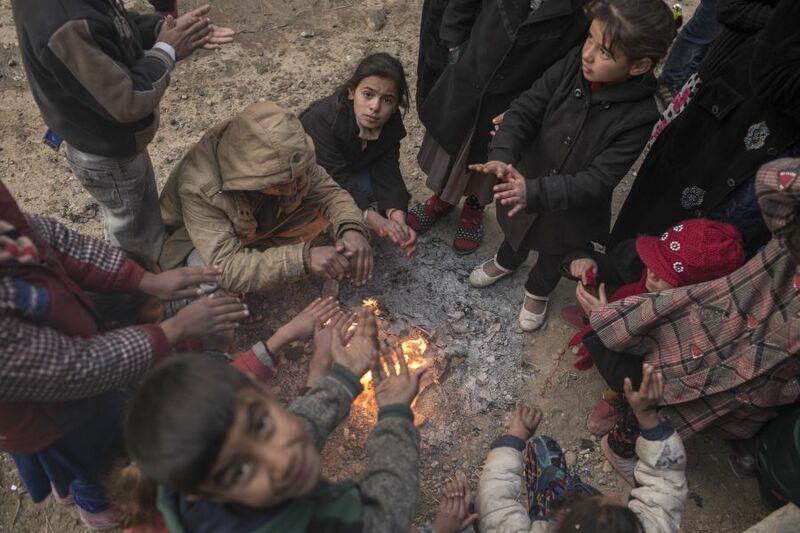 Children warm themselves by burning rubbish outside a house where Oxfam are distributing blankets and packs containing nappies, sanitary towels, a solar powered lamp, women's underwear and mosquito nets to 400 families in West Owsija, a small village near Qayyarah that was occupied by ISIS from August 2014 to September 2016. 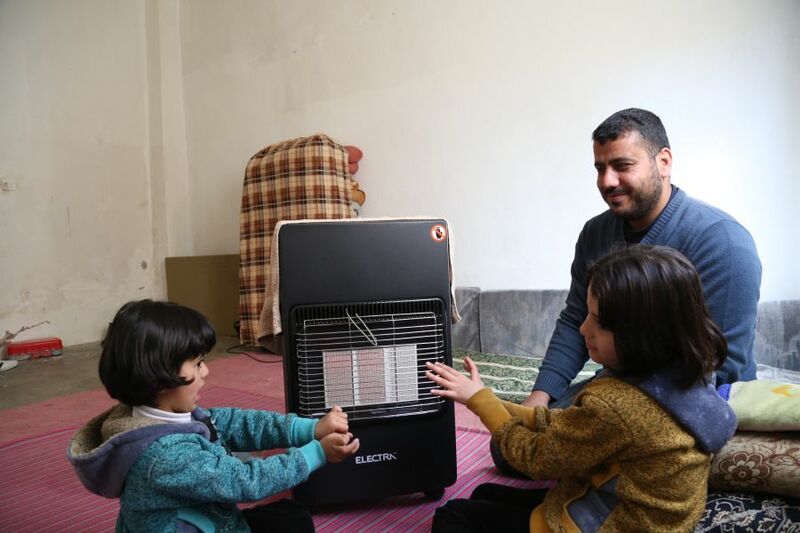 Many families who were cleared out when Iraqi forces retook the town three months ago have returned, but there is little infrastructure to support them and conditions are tough, especially in the cold of northern Iraq's brief but bracing winter months. The conflict has in many cases destroyed their homes, businesses and schools, and without access to livelihoods many have depleted their assets and face mounting debts. With a lack of income, markets are no longer able to function and few families have enough to eat; even where food is available, not everyone can afford it.